BAPO no. 1. B. E. F.
everything of the very best. is only just to acknowledge! 24th to see the results. We are very busy tonight. are in store for them. 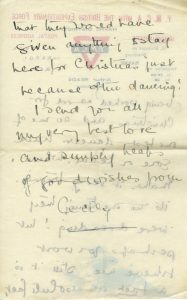 As Christmas 1917 drew near, Jack Peirs was preparing to spend the holiday at home in Carshalton for the first time since 1914. 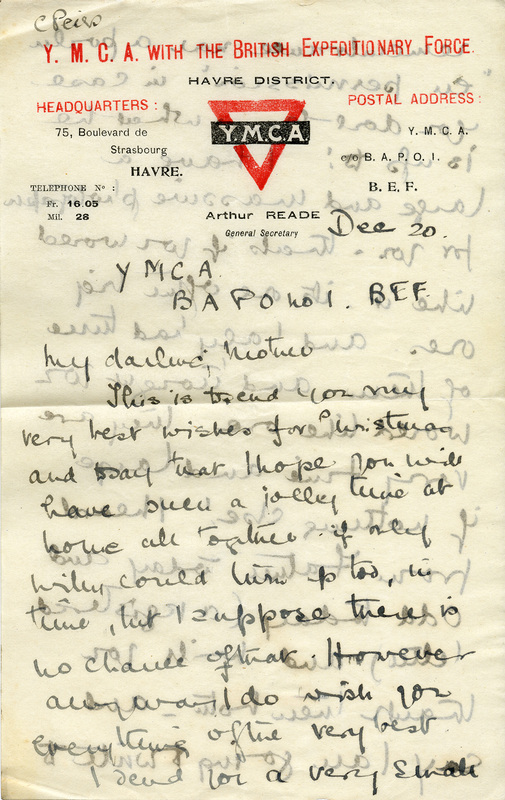 Since the beginning of December, he’d been at the Senior Officers’ School in Aldershot, and the close proximity allowed him to make regular visits to his family, heading home for dinners, avoiding bridge games, and finally meeting his goddaughter, who was born over the summer. But as the Peirs family prepared to welcome their only son home for the holidays, they undoubtedly missed the presence of their daughter Cecily. he oldest of the four Peirs siblings, Cecily was a professionally trained singer who studied at the Royal Academy of Music in London. During the First World War, she volunteered with the Red Cross and YMCA, touring England and later France to perform in the variety shows and musicals intended to offer entertainment and benign distraction to soldiers at the front. 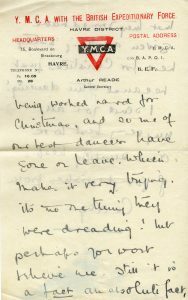 As indicated by her stationery letterhead, Cecily was spending Christmas near Le Havre in Normandy, about 250 kilometers from the 8th Queens, who were in divisional reserve at Vraignes-en-Vermandois. 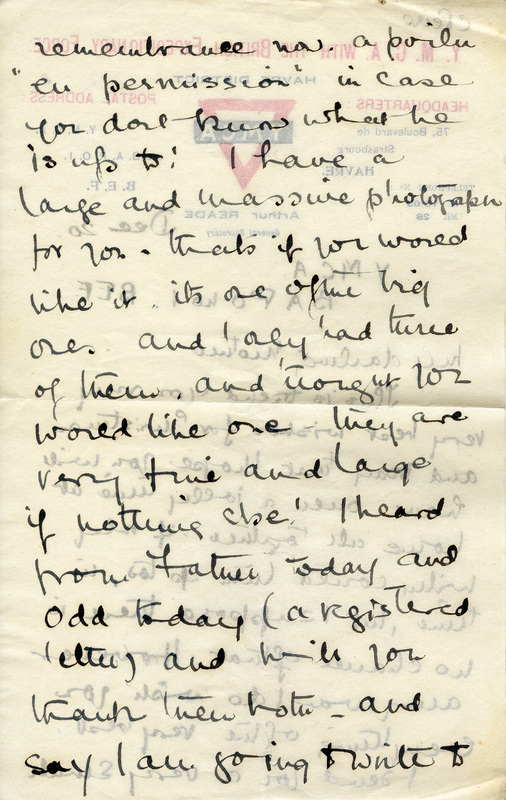 At face value, Cecily’s letter to her mother evokes a big personality. Her writing is full of intensifiers and superlatives, combined in an effusive style that seems oratory, as if the letter was written to be read aloud. Its author jumps rapidly from topic to topic, even though she’s writing “only just to acknowledge,” and she uses almost more exclamation points in one letter than her brother does in 271. 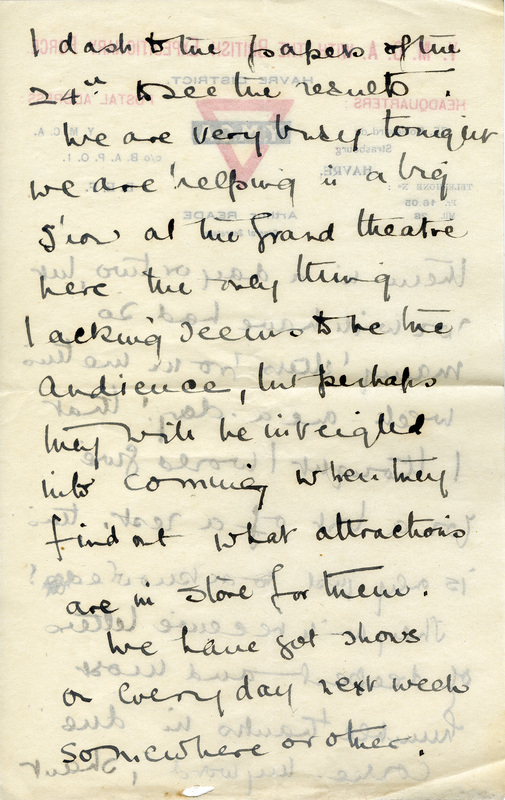 Where he typically closes with “love to all,” she outdoes him tenfold, sending “for all my very best love and simply heaps of good wishes.” Visually, Cecily’s script sprawls broadly across the paper, and like Jack she seems to fit relatively few words on each page. 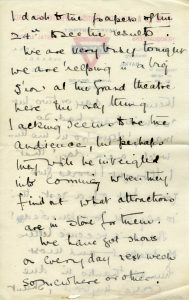 The reader of this letter is confronted with a deep and missing context. 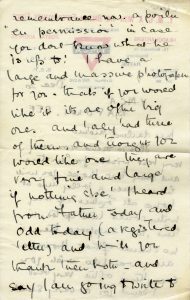 It is full of in-jokes and references, suggesting both a close relationship and a regular, nearly daily correspondence between mother and daughter. 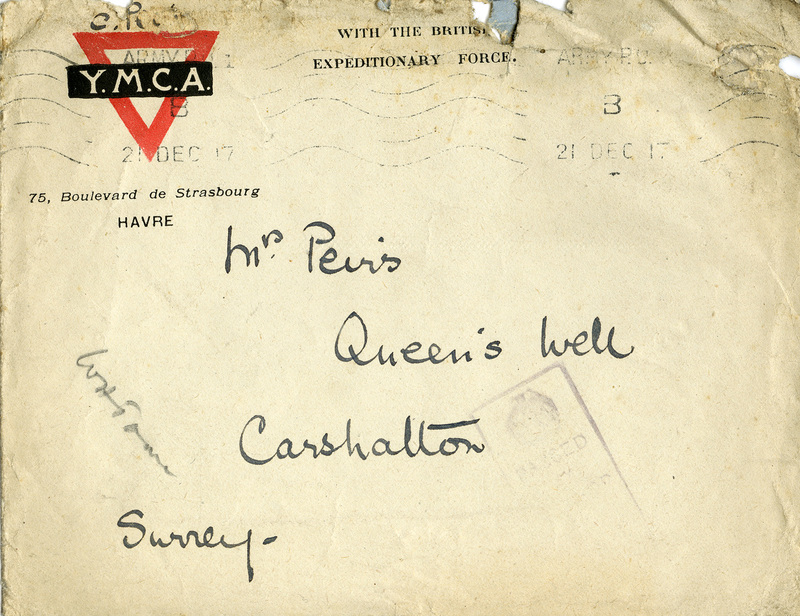 The collection at large provides a few clues: “Willy” is Gladys’s husband William, also on active service and away from Queen’s Well for the holidays, and we can gather from Cecily’s volunteering history that by December 1917 she was reasonably experienced in this kind of work. 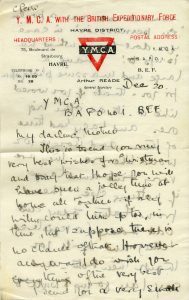 However, her letter fails to answer most of the questions it raises – what was the “small remembrance” she sent, and just what was the soldier she mentioned up to? Why was she dashing to the papers on the 24th, and what were the results she found there? And what was the thing the other YMCA volunteers seem to have been dreading? Perhaps more letters from Cecily would provide answers to these questions. Regardless, this one helps us to draw a few conclusions. 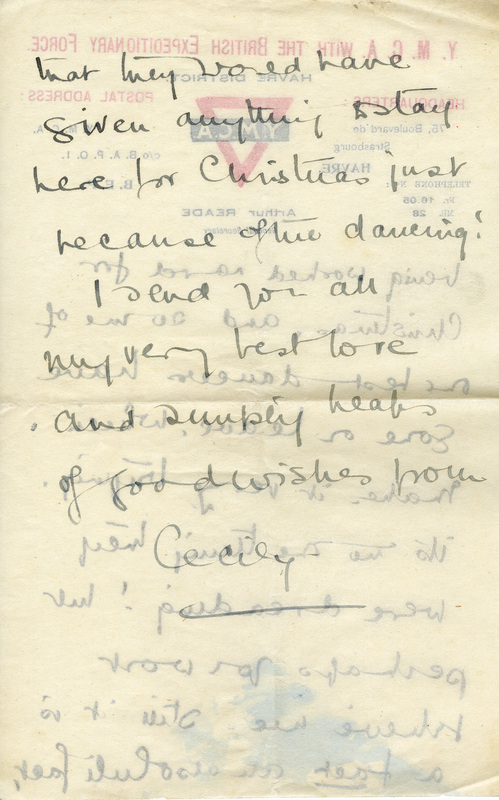 Cecily seems to have been dedicated to her work, enough so that she chose to remain in France for Christmas when she likely could have gotten leave if she had really wanted to. 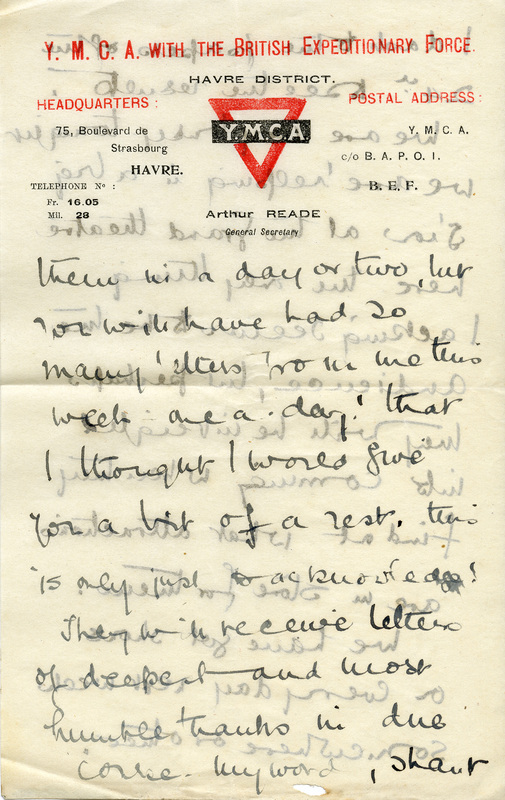 Like her brother, she is anxious to put on a good face in writing to her family, making the best out of a less than ideal situation as Jack does time and again. 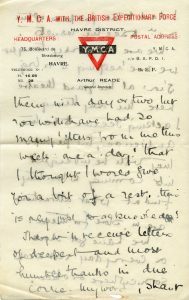 Her letter provides an example of how the war changed things for the Peirses, trading a brother for a sister, at least temporarily, as the conflict entered its fourth year. This entry was posted in Letters and tagged Cecily on December 20, 2017 by Jenna Fleming.